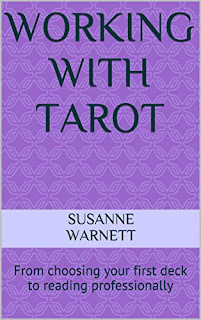 Tarot is a system of divination dating back many centuries. It is believed the first tarot decks appeared in Europe in the 14th century, but evidence exists of similar illustrated and numbered cards long before that in India and the Far East. There are 78 cards in total; 22 Major Arcana cards that deal with universal archetypes and 56 Minor Arcana that represent the people and events in our everyday lives. I also sometimes use oracle cards, which are totally different to tarot and so can add another layer of information we may not otherwise be shown. The umbrella term for divination with cards is cartomancy. On a basic level, you ask the tarot a question; I draw the cards and interpret the answer. I am an intuitive reader so I connect with you by reading your energy; I don’t use spirit guides or angels. I use the cards to see exactly what is going on for you right now, how you got to this position, and then we look to see how things are likely to turn out if nothing changes. This is a key point, because the future isn’t set in stone; it is my job to give you the information you need so you can decide for yourself the best course of action. I can only advise you and empower you; it is up to you to put these steps in place. So I’m not going to meet a tall, dark and handsome stranger then? You might, but the tarot goes so much deeper than the traditional “end of the pier” style readings you’re thinking of. Instead of party tricks telling someone’s fortune, think of it more as life coaching. What about the Death card? While we all die eventually, the Death card actually signifies change; it is the situation that is “dying” if you like. Think of it as one door closing so another door can open; sometimes things have to end so new opportunities can enter your life. Although at the time the change could seem hard to adjust to, always remember that something better is coming along as soon as you are open to it. OK, sounds good. What readings do you offer? If you want to work with me there are a couple of options for you. 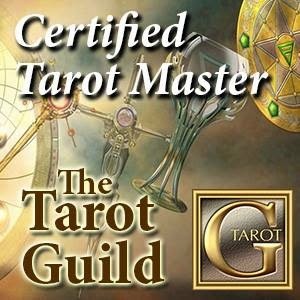 You can send me an email address and your question and I will email you back with a full written reading and a photograph of the cards pulled; this is by far the easiest if you need a quick response, are in a different time zone or don’t want to take your own notes during the reading. Alternatively if you prefer to actually see whom you are working with and be able to ask questions as we go along we can book a slot and I will contact you via Skype. Email readings are $45 while Skype readings are $50 per 30-minute slot. Payment is via PayPal so even if you don’t have a PayPal account you can still pay via credit or debit card. Payment is required in advance, but if, for whatever reason, I am unable to fulfil the reading I will of course refund your money in full. Where can I get more information about you? Many thanks, and I look forward to connecting with you!